“We are time’s subjects,” said William Shakespeare. Precisely 400 years after he departed the mortal realm, the Bard’s words are as true as ever, and even he could not have predicted that four centuries later the world would be connected through an invisible digital network on which a plethora of platforms known as ‘social media’ would exist. While Shakespearean dialogue is far from common parlance in the 21st century, words still count for so much, and it is through a mixture of carefully crafted sentences that brands can help to engage, inspire, promote and convert. 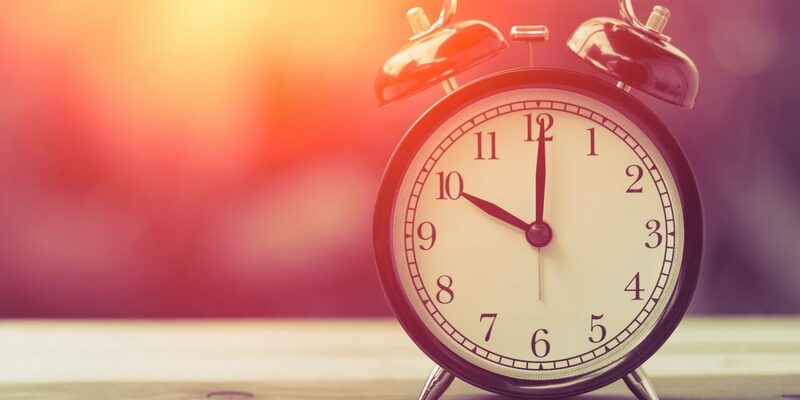 However, simply spamming the internet with prose and hoping for the best is not good practice by any stretch – a lack of strategy, target audience, content diversity and relevance can soon render even the best tweets and posts meaningless, but perhaps the most important element is timing. That intangible commodity that we all live by is applicable to everything, and in social media it can be the difference between a post being shared and commented on hundreds of times, or simply lost in a sea of updates with barely a like to be seen. “Better three hours too soon than a minute too late,” Shakespeare also one wrote, although on this occasion the Bard’s wisdom was not quite as eternal. When scheduling social media posts, being too soon to the party can be just as bad – or even worse – than being too late. Whereas content planning and generation is intrinsically proactive, social media can often be reliant on quickly following-up breaking news, emerging trends or simply interesting posts with pertinent insight and comment. Blindly posting a news story with a tenuous connection to your industry or services at a random time during the day will expose it for exactly what it is: an afterthought. On the contrary, a well-timed post, link or retweet can get eyes on the product and encourage engagement that can tap into every aspect of the customer journey, from awareness to action. As with all digital platforms and media, there is not an exact science to social media posting, and consequently there are several contrasting reports that will each advocate sharing links or insight at a certain time on a specific day. As we explored in our previous blog, which platform you use and what you post on it depends entirely on your target audience and product or service, and the same methodology applies to the time you post. The immediacy of Twitter can often detract from brands’ intentions, and to this end a tweet that is seen by someone who follows 1,000 accounts can disappear in the blink of an eye. Timing is therefore less measurably effective with Twitter, and instead the nature of the tweet is; retweeting a hot topic, jumping on breaking news, using a clever pun to comment on a situation. All these require regular (or automatic) monitoring but can ensure that your brand’s voice is the one that is loudest. Facebook – the world’s most popular social media platform – is still finding its feet as far as being a business-centric outlet is concerned, but it can be an invaluable tool for boosting awareness and even conversion. From a B2C perspective, it is the platform that can be utilised most effectively on a weekend, where usage is likely to be high, and is therefore a key driver for brands looking to promote special offers, sales or competitions. It is also now as much of a news source as some sites dedicated to news, and with constant opinion on topical events filling timelines, being ahead of the curve and scheduling posts to go live during specific events – from the World Cup Final to Crufts – can prove instrumental in driving traffic to your site. Ultimately, no man can look into the seeds of time and say which grain will grow and which will not (yes, I’m paraphrasing him again), but by employing a social media strategy that leaves as little things as possible to chance and is structured around getting eyes on the product, brands can maximise their chances of boosting awareness, conversion and sales. Social media 101: Do I analyse this or that?